Last Friday, 27th September, Princess Anne visited Swansea. Her first stop was Oystermouth Castle, where she was welcomed by a large crowd. The Wales Online article even mentioned that the castle is haunted by a white lady, which is the subject of my first local history book Alina, The White Lady of Oystermouth (see right). 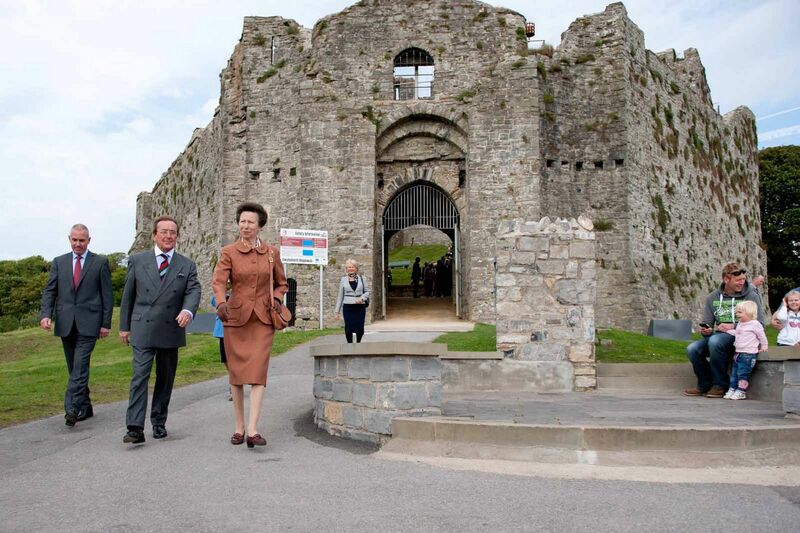 Here she is being shown around by Roger Parmiter, President of the Friends of Oystermouth Castle. There are lots more photos of Princess Anne's visit here. The castle has recently had £2m worth of conservation works which have greatly enhanced the visitor experience. Work to stabilise and repair some parts has allowed entry to areas that it was not previously safe to go into, and the improvement of paths both inside and outside the castle has made access much easier, especially for disabled people like me or those with young children or prams. The biggest change has been the work on the chapel tower, built by Alina when she returned to Gower after her imprisonment in the Tower of London. 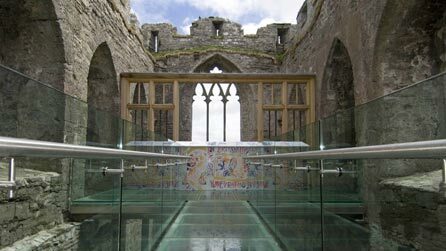 A glass bridge allows access to the chapel floor without restricting the view from the ground. Alina's family were Lords of Gower, and loved to live in Oystermouth Castle, using Swansea Castle merely as an administrative centre. In fact, enhancements were made to Oystermouth Castle, while Swansea Castle was in need of repair, and some of the towers were actually sold off. The chapel would have been brightly decorated, not plain stone. 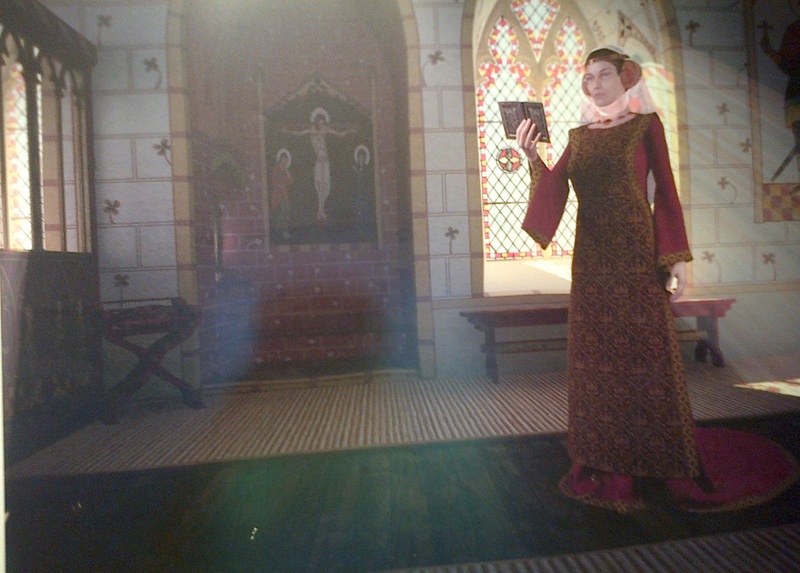 Traces of the paintings have been found during the refurbishment, and a graphic representation made of how it might have looked. I'm sure Princess Anne was impressed – I wish I could have presented her with my book! It's the only account in existence of Alina's life and the events surrounding her, which led to the toppling of Edward II from the English throne.